The Harmonie’s beginning can be traced back to a few Swiss immigrants who belonged to the Helvetia Society in early 1920. Late in 1929, under the guidance of Edward Wheeler, the first official meeting was called to order at the Grueter Dairy in La Puente, CA. Walter Schenk was elected the first Harmonie president. He remained an active member for almost fifty years. Harmonie learns the songs that our forefathers used to sing and cherish. 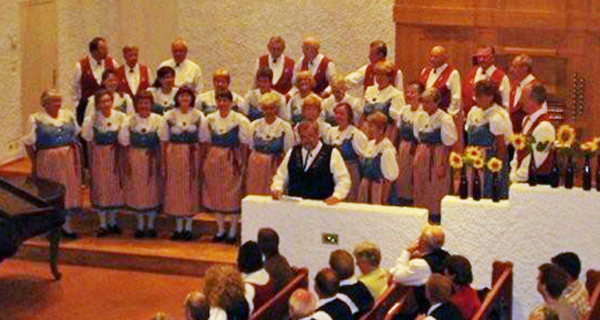 The choir brings to the public the songs and moods of different regions of Switzerland in the official Swiss languages, Swiss German, French, Italian, Romantsch and American songs from our adopted homeland. 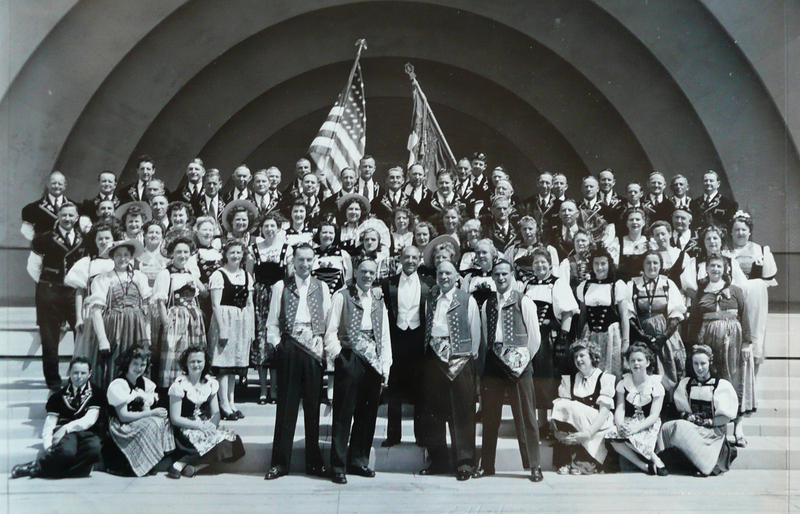 The Harmonie has been a member of the United Swiss Singing Societies of the Pacific Coast since 1939 and has participated in all but the first two singing and yodeling festivals. Four such festivals were hosted by the Harmonie. The first was in 1948 at the Hollywood Bowl, in 1966 at the Shrine Auditorium, in 1984 at the R.M.S. Queen Mary in Long Beach and the last one in 2005 at the Terrace Theatre in Long Beach. Throughout its history, the chorus has had 10 music directors. The current director, Mr. Rodger Whitten, has been with the Harmonie since 2004. All of the directors deserve great credit for helping the members give outstanding and successful performances. A Christmas concert at the Dorothy Chandler Pavilion in Los Angeles broadcast on PBS. Our choir was also chosen to represent all the Swiss Abroad choirs in the 700 year birthday festivities of Switzerland and to open the Congress of the Swiss Abroad by singing the National Anthem in Luzern, Switzerland. Harmonie, in coordination with United Swiss Societies of Southern California, sponsored a float in the 1991 Rose Parade to commemorate the 700 Year Celebration of the founding of Switzerland. 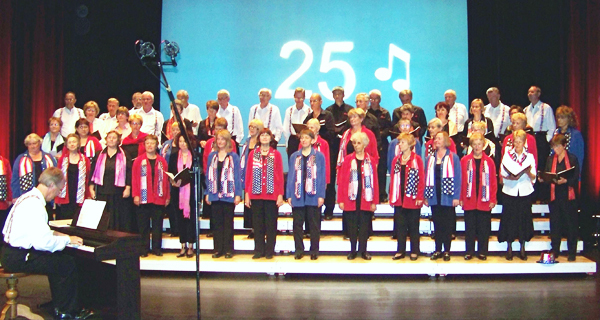 In September 2007 the Harmonie had a very successful concert tour of Switzerland, visiting many beautiful regions and singing our hearts out in our homeland. We continue to share our Swiss heritage in music and song with our adopted homeland.